Traveling to Norcross? Why miss your WOD? 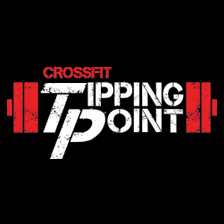 At CrossFit Tipping Point we love drop-ins. Being part of the global CrossFit community is one of the many reasons why we love CrossFit, and we will welcome you in as one of our own for the duration of your stay. We use a class reservation system at CFTP. To ensure a spot, please send us an email or give us a call at (404) 451-9385, and let us know you will be coming.